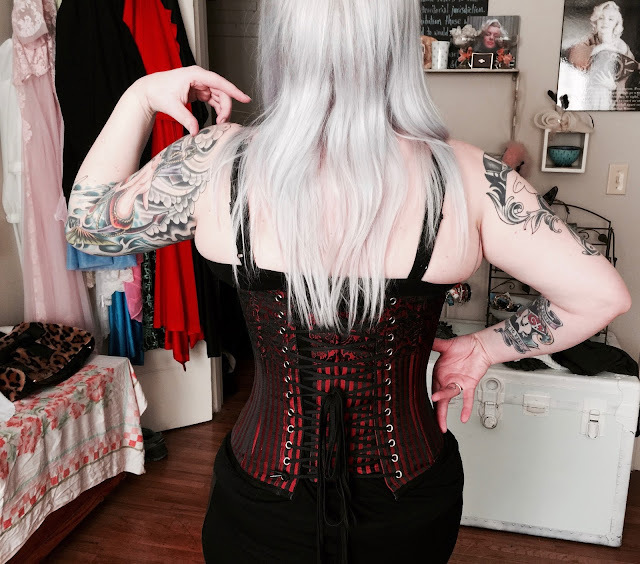 A few months ago the lovely folks at The Violet Vixen let me pick out a corset to review. Firstly, I was overwhelmed because they have so many to choose, and secondly, how do you pick just one? After many back and forth decisions, I went with Candied Ruby underbust. My natural waist is 30 inch and so size 26 corset is what I needed to get a perfect hourglass figure. If you have questions on how your corset should fit, or what size you need, the wonderful people at this company are here to help! Their customer service is spot on, which I cannot say about a lot of companies. The Violet Vixen not only offers really beautiful corsets, the construction is impeccable. When the package came, I was instantly surprised at how heavy the package was. That to me, signaled this is a GOOOOOD corset. Right now, The Violet Vixen is having an online sale and you can pick this beauty up for $96.00 (which saves you about $20). In fact, their whole site is on sale! Go find something that you cannot live without, and be sure to check out their corset section, as the offer more than just underbust corsets. 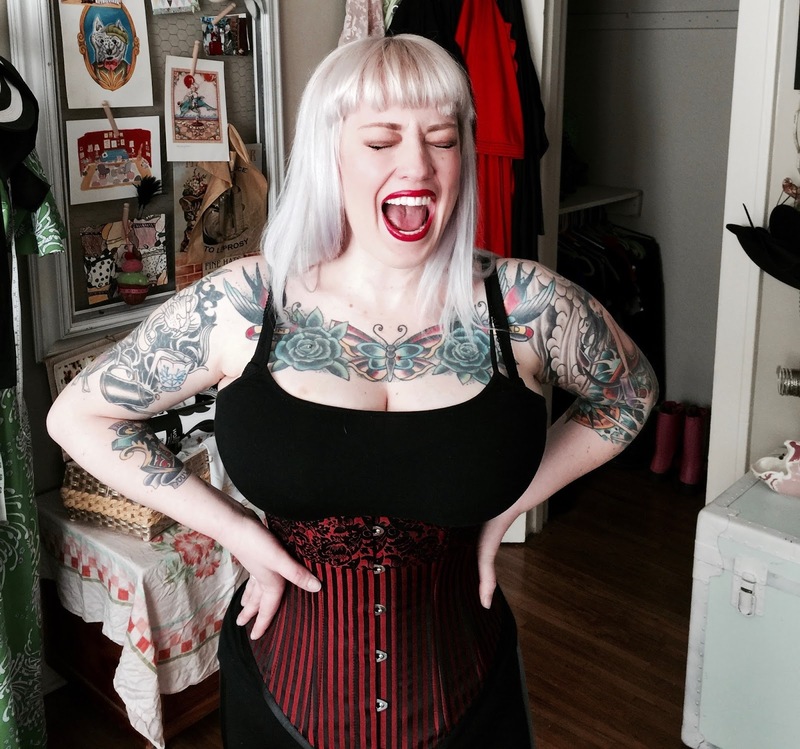 I know this will not be the only Violet Vixen corset that I will own! Sweater Review with Voodoo Vixen and DISCOUNT CODE! 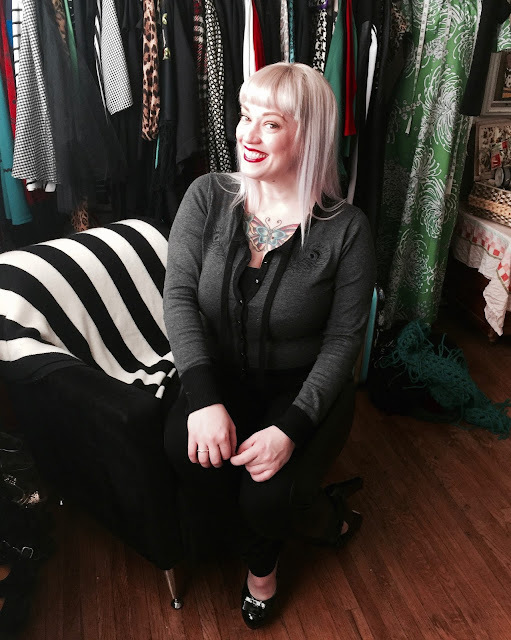 Voodoo Vixen sent me a super cute EMILY cardigan to review, and i have worn it a bunch. It is cropped and has a cute tie around the neckline, so you can change up the look easily. 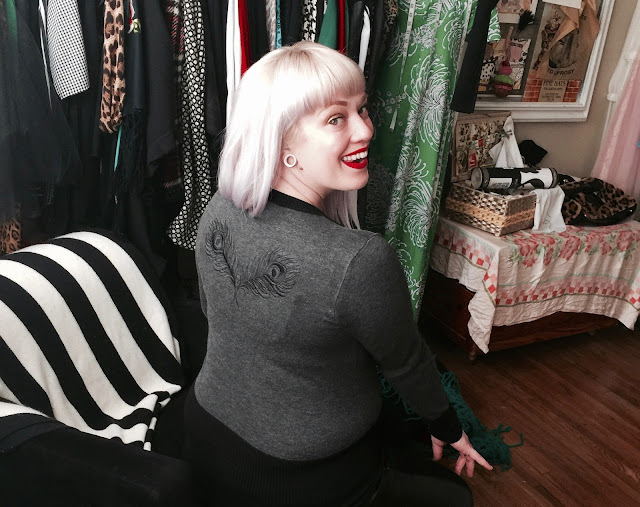 There are adorable embroidered feathers on the front lapel and back. I love this detail, and love it more that it is delicate and not over the top feathers. The fit is perfect, so if you do order it, order your normal size. The sweater is super soft and comes in more that one color way. I choose the gray/black color, as it goes with more in my wardrobe. If you would like to pick up a sweet little something at Voodoo Vixen, myself and the company would like to pass along a little savings.......like how about 20% off?!? Use the code: Katty20 with your order to save! I would love to see or hear about what you picked up!